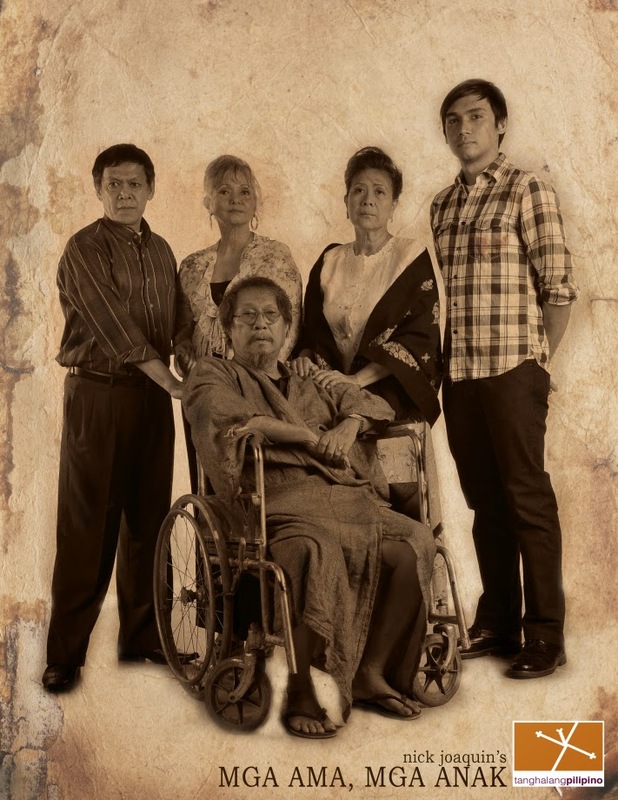 Tanghalang Pilipino, the resident theater company of the Cultural Center of the Philippines presents its final offering for its 27th Theater Season at the Tanghalang Aurelio Tolentino (CCP Little Theater). 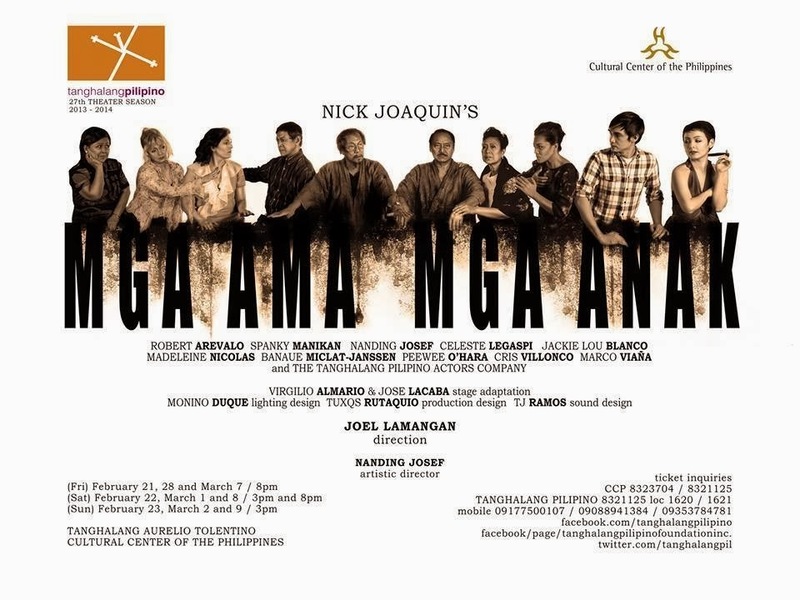 Mga Ama, Mga Anak, written by National Artist for Literature Nick Joaquin based on his short story “Three Generations,” and translated by National Artist Virgilio Almario and Jose “Pete” Lacaba, Jr., into Pilipino from his original English play “Fathers And Sons,” is a poignant drama in three acts. This play will be shown on February 21 to March 9, 2014. 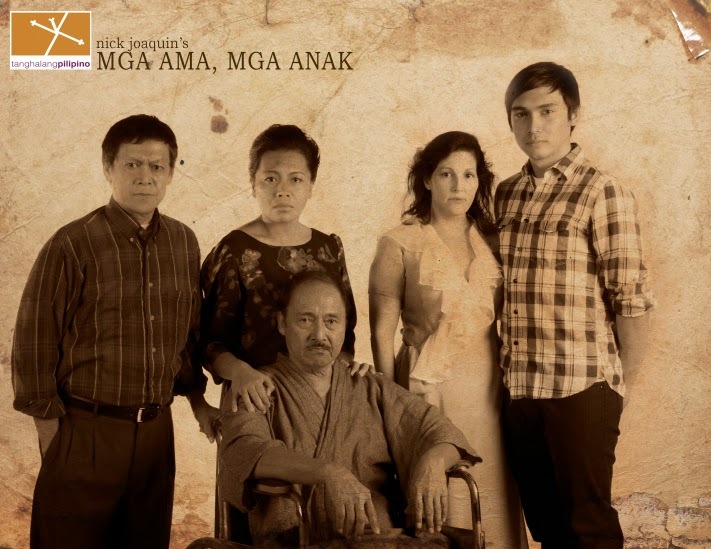 Award-winning director and stage actor Joel Lamangan directs this production. 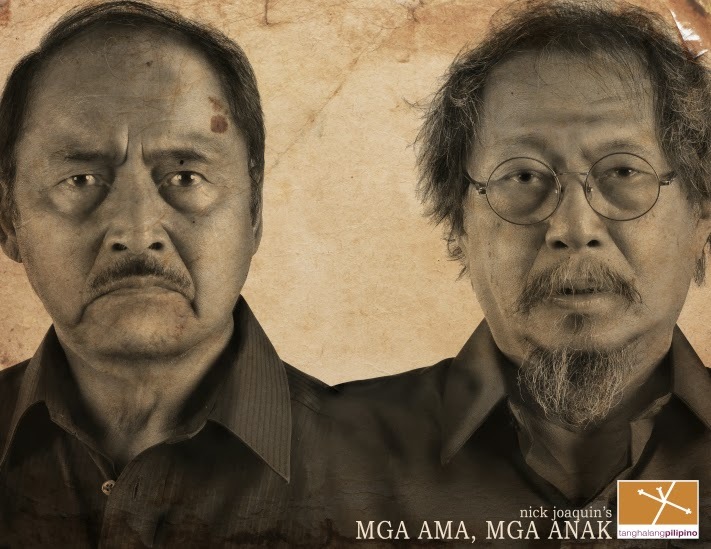 The story revolves around a former town ilustrado and Caretela king Zacarias Monzon, his fall from power and wealth, and his gnawing conflicts with his son and his family. Cruelty, hedonism, disloyalty, and suffering marred his past. Now, so close to death, Zacarias still has the reins over his resentful son, his confused grandson, and a benevolent martyr of a mistress, until they decide it was time to cut loose and be responsible for what they are and what they will be. Post by Tanghalang Pilipino Foundation Inc. (resident theater company of CCP). Tickets available at all TicketWorld outlets at PhP800 / PhP400 (students with IDs), with a 20% discount for senior citizens, government employees and PWDs. For inquiries, contact TicketWorld at 891-9999 and Tanghalang Pilipino at (02) 832-1125 local 1620-1621, 0917-750-0107.